Disclaimer: I received complementary tickets in exchange for writing and promoting this blog post. I will always loved Cirque du Soleil shows--and I am so stoked that Varekai is coming to Phoenix since I have not seen it yet! 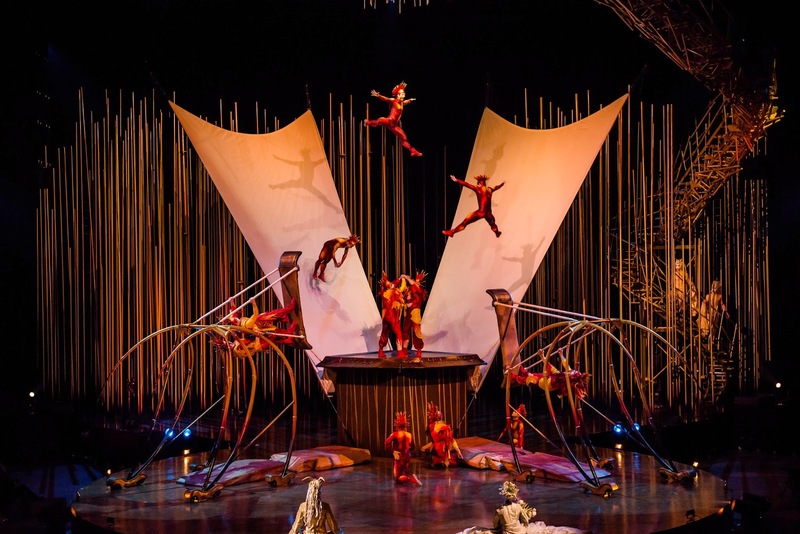 If you are unfamiliar with what Cirque du Soleil is but maybe you have heard of it before, I can tell you that it is a great chance to see incredibly well-produced performing arts at a bigger than life scale! It's a mix of circus arts and street entertainment--but at a very thought provoking and professional level. 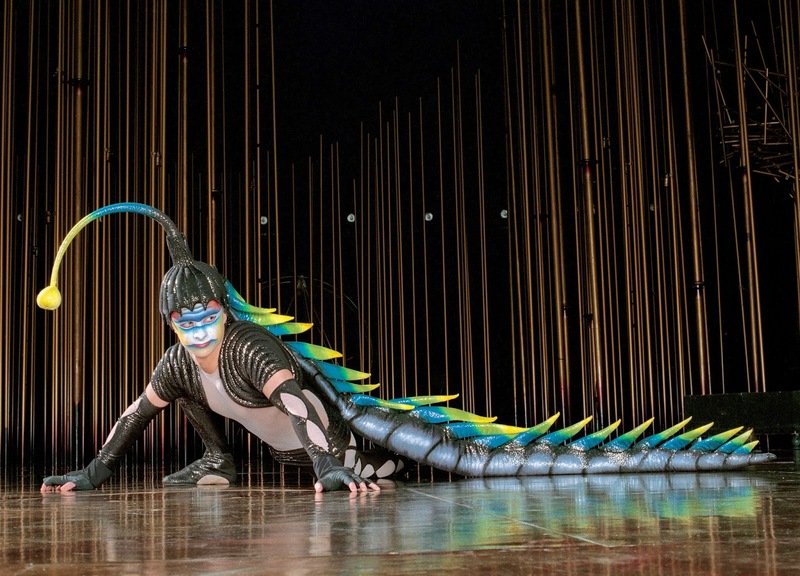 Varekai is one of many Cirque du Soleil shows, and will be showing right here in Phoenix! Performances run from February 18th through February 22nd only! I think it looks like a blast! Adam and I will definitely be going! And we're giving away tickets! 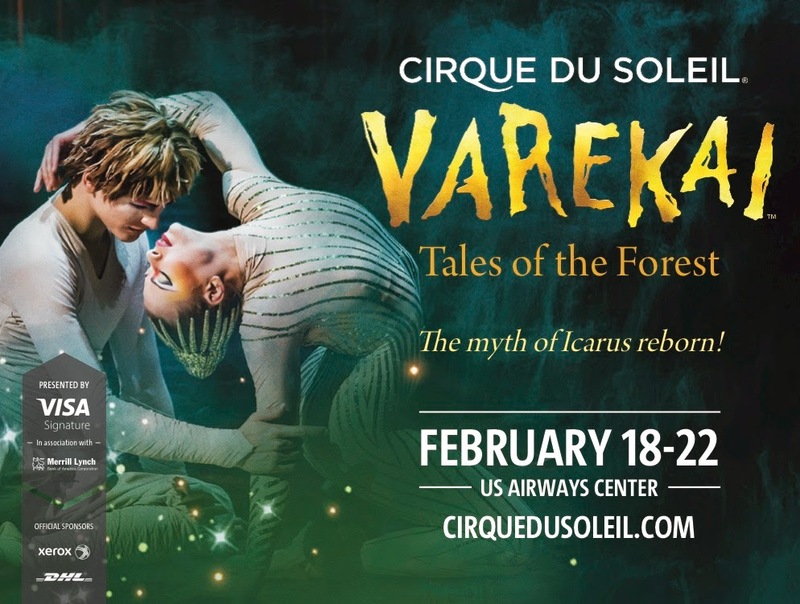 2 winners will be chosen and each winner gets 2 tickets to take a friend to see Varekai here in Phoenix (must redeem tickets here in Phoenix, AZ). Be sure to read the Terms and Conditions. at US Airways this year before the show leaves town! Doesn't it look like a fun night out? I am excited to make it a date night with Adam! Do you enjoy Cirque du Soleil shows? If you've seen one, which has been your favorite so far? *Note: I do not own any rights to the above media. I was given the images to use for this blog post to help promote the show for Insight Mgt. I would totally take my man friend we love doing different things for date night and this looks amazing! :) Thank you for reminding facebookers about this giveaway! I would love to see this show! I'd take my sweetie. Aww awesome! Good luck, Raejean! Would be a great date! I would take hubby. We couldn't find a sitter last time so I went with my sister in law. I am certain he would love to attend this time! Haha awww that sounds like it would be a fun mom & daughter date! Those are the best! My mom and I used to do stuff like that all of the time.